CRESSON, Texas (December 21, 2016) – Lone Star Racing team principal and driver Dan Knox will return to the IMSA WeatherTech SportsCar Championship in 2017 with ACS Manufacturing, co-driver Mike Skeen and an all-new Mercedes-AMG GT3. 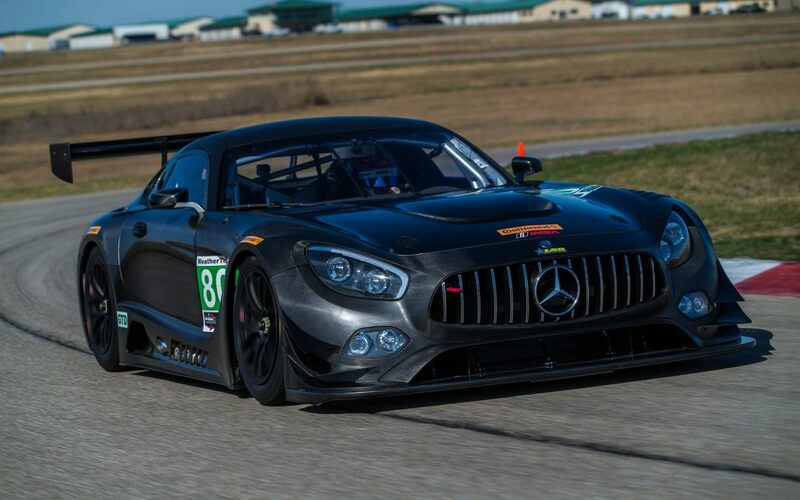 The team took delivery of its new Mercedes-AMG GT3 Monday at its Motorsports Ranch-based shop in Cresson, Texas, and gave the car its first shakedown run yesterday on the facility’s road course. Lone Star raced a Viper GT3-R in a four-race IMSA GT Daytona (GTD) schedule last year, earning a season-best finish of eighth in its final race at Circuit of The Americas (COTA) with Knox and Skeen co-driving. Knox and Skeen co-drove together for the first time last year in IMSA GTD, in addition to a one-off performance in the Pirelli World Challenge SprintX race at Laguna Seca. Taking over from Knox, Skeen led Saturday’s SprintX race and ultimately finished second after being passed under two laps from the finish. Lone Star Racing is currently reviewing its 2017 options within the IMSA WeatherTech Championship, with an obvious goal to run as many races as possible. Lone Star was running fifth with Skeen at the wheel in the late stages of this year’s COTA IMSA race only to be forced to serve a penalty for an earlier contact incident in the final minutes. About Lone Star Racing: Based at Motorsport Ranch within the greater Dallas-Fort Worth area in Cresson, Texas, Lone Star Racing competed the last three seasons in the No. 80 ACS Manufacturing Dodge Viper GT3-R. For 2017, the team will race an all-new Mercedes-AMG GT3 in the IMSA WeatherTech SportsCar Championship. Although Lone Star Racing is still relatively new to IMSA, its team members have won races across North America spanning sprint and endurance racing formats. The crew has worked together on many different teams and various types of cars, developing a strong bond and proven capability that gives them a competitive and winning advantage. The team races with the support of primary partner ACS Manufacturing, Inc. (www.acsmanufacturing.com). Look for Lone Star Racing and Dan Knox on Facebook and follow the team on Twitter @LSRTeam.